Log in to HipChat from a web browser and click on the "Integrations" link in the top nav. Select a room to use for /tz from the dropdown on the left. (HipChat won't let you install it for all rooms.) 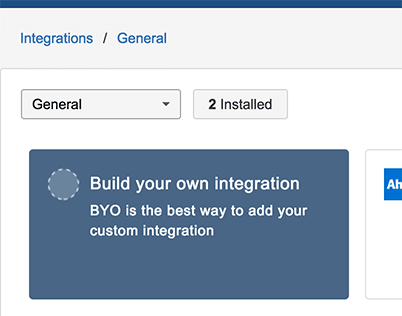 Click on the big blue "Build your own integration" box. Enter in a name for the integration. "Slash TZ" works. Click the "Create" button. Tick the "Add a command" check box, which will reveal the options for the slash command and POST URL fields. Use /tz for the slash command and https://slashtz.com/hipchat for the POST URL. Click "Save". Type /tz help into the room you selected in HipChat to get started.